The dry chilly weather tends to make your hair dry during this season. In addition, factors like pollution, long exposures to sun & damage from styling also make your hair look dull & lifeless. Hence, your hair needs extra care in order to remain happy & healthy. A good hair mask helps in improving the overall quality and appearance of your hair & keeps it strong & healthy. These masks are easy to apply & do not consume much time. Make sure to choose a hair mask which suits your hair needs & hair type. We take a look at various ready to use hair masks which you can try out for your tresses! 5 Problems, 1 Solution! I am sure all of you must have seen Aishwarya Rai Bachchan flaunting her tresses in the L’Oreal advertisement. This mask claims to repair and intensely nourish your hair and protect it from the 5 signs of damage hair fall, dryness, roughness, dullness and split ends. The L’Oreal Laboratories have created Ceramide-cement technology to replicate the hair’s natural cement to target the 5 common hair problems. It keeps the hair well moisturized especially dry hair, however, be careful while using this if you have oily hair as it might make your hair even more oily .It makes your hair soft ,silky and tangle free. The product is easily available & just right in consistency. The only downside is that it contains too many chemicals. This is of Rs 369. This masque by L’Oreal Professional is designed to balance the natural oil levels in the hair. It includes argan oil & cottonseed oil & is suitable for all hair types. It is a highly concentrated thick mask & smells pleasantly. Also it makes your hair more manageable, soft and de-tangled. This is available for Rs 850 for 200 ml. This mask claims to provide defense against breakage as it moisturizes for exceptional conditioning, resilience and shine. This anti-hair fall masque is part of the salon exclusive Advance BIOSPA treatment that helps in creating a structural reinforcement system to strengthen weakened hair cuticles. It is formulated with the power of bamboo & ceramide to boost resilience & make hair stronger. It is meant for weak and fragile hair & is of Rs 740 for 490 gm. This mask treats damaged hair. It is a white cream which is very soft and easily gets absorbed into your hair. A little goes a long way & it makes your hair softer and more manageable. It retails for Rs 525 for 150 ml. This mask claims to intensively repair damaged hair, recharging it with new strength & elasticity. BC Hairtherapy with Cura+Protein complex reinforces the hair structure with significantly more strength. The Amino Acid Rebuild technology recovers the hair’s natural elasticity by strengthening the architecture of the hair cell. It makes your hair soft, shiny & tangle-free. It hydrates & nourishes your locks & keeps them healthy. This includes a regenerating treatment mask along with a heat activating serum. The self warming serum is a nice warm oil which gradually warms up as you apply it. This powerful fusion, with Keratin Repair Actives, penetrates to a cellular level and helps restore proteins. It is easy to carry & makes your hair more manageable. This hair mask by Tresemme contains intensive treatment with Amino-Vitamin complex to deeply moisturize and nourish the damaged hair. Also it claims to make your hair smooth, healthy and strong. 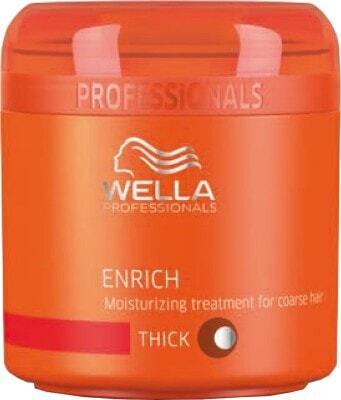 It helps in restoring moisture to your hair & does not build up or weigh down the hair. It also helps in taming frizz. Have you tried these ready to use hair masks before?